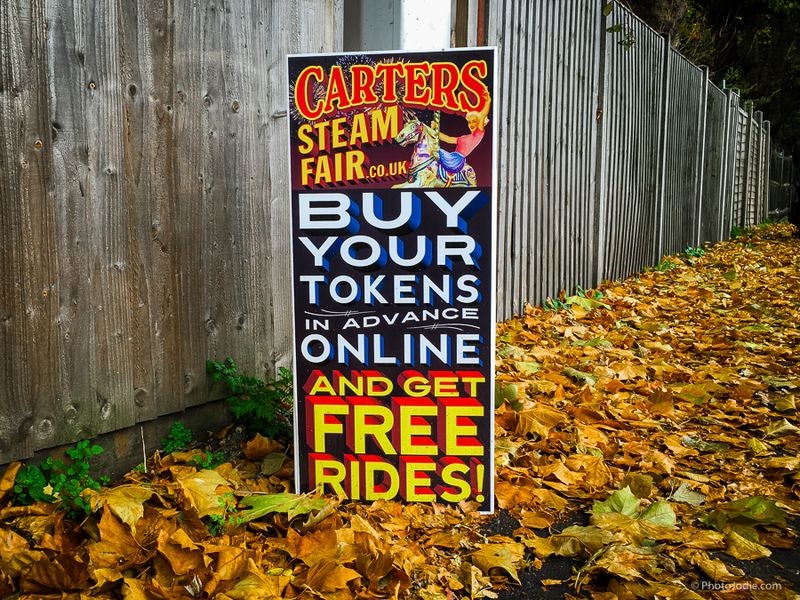 If you’re local to Maidenhead then you’ve probably seen the signs around town for Carter’s Steam fair. For many Maidenhead residents, it’s an essential part of the countdown to Christmas, along with the Maidenhead Christmas lights switch on at the end of November. 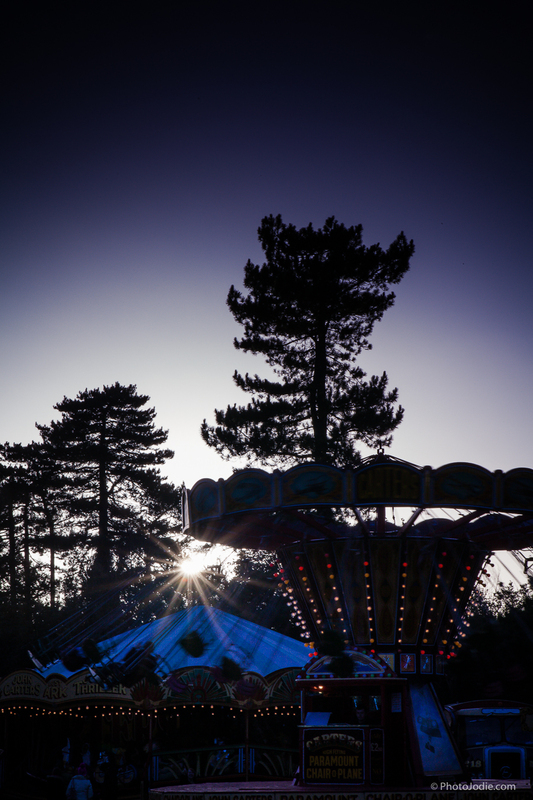 Although the Fair tours around the country, living opposite Boyne Hill Cricket Club and park, we’re lucky enough to get Carter’s Steam fair practically in our back garden for their annual event in Maidenhead. This weekend we’ll be going along as a family of four for the first time, with the grandparents tagging along too! 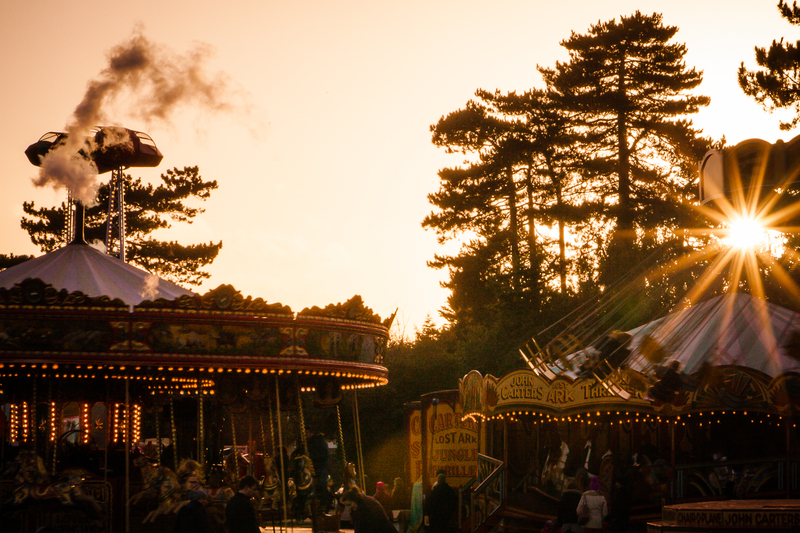 If you’ve not heard of it before, Carter’s Steam fair is one of the biggest vintage travelling funfairs that you’ll set eyes on. 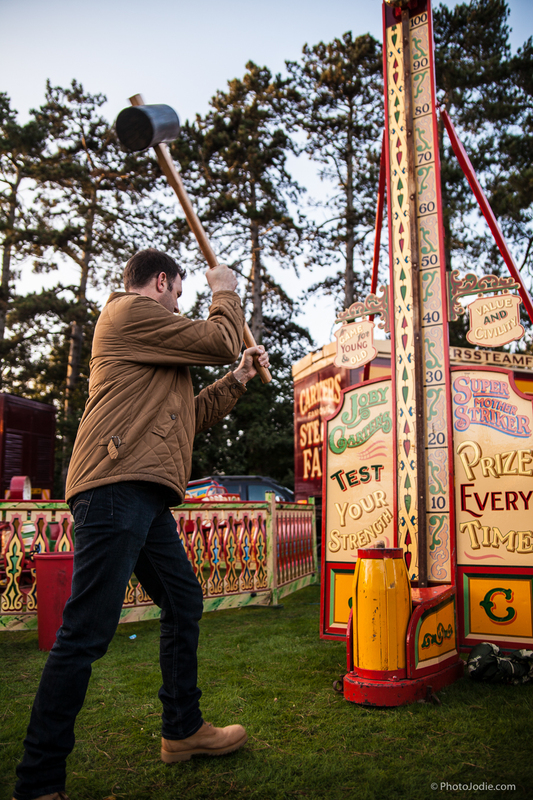 All of the rides have been lovingly restored to their former glory by a Maidenhead Mum and Dad who began collecting and restoring vintage funfair rides in the 1970’s and have been adding to their collection ever since. Their passion and dedication has helped salvage a lot of rides and a bit of British heritage that would otherwise have found its way into scrapyards around the country. But aside from it being a great Maidenhead family success story (there are 3 generations of the Carter family living and working on the fair), it’s also a great day out with broad appeal. 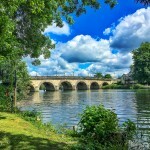 It’s one of those rare activities that has something for everyone, big kids, little kids, history buffs and photographers alike…. What a dinky little lady in 2013! 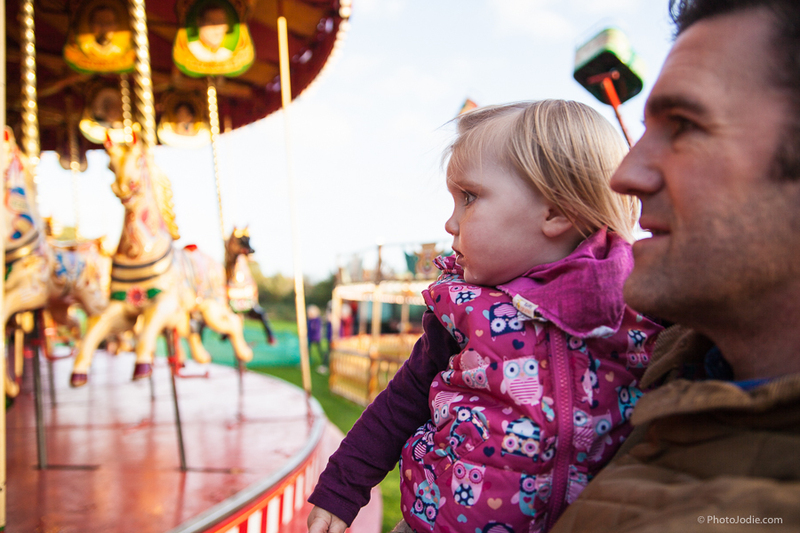 Even if your little ones are a bit young for the rides and don’t enjoy fireworks yet, there’s still plenty for them to enjoy. We took our Little Lady when she was around 18 months old and it was great to point out the colours and sounds of a real vintage fair. 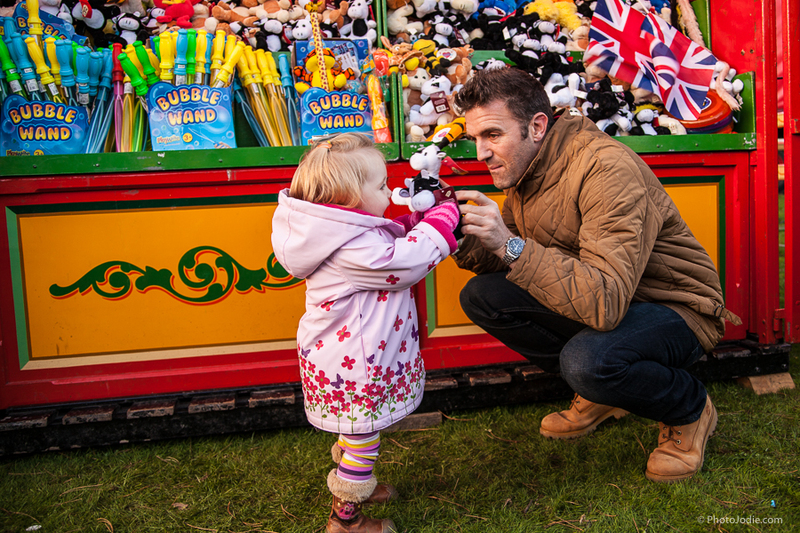 And of course it was a chance for Daddy to win a cuddly toy to add to her growing collection. She chose a cow. She was obsessed with Cows at the time! 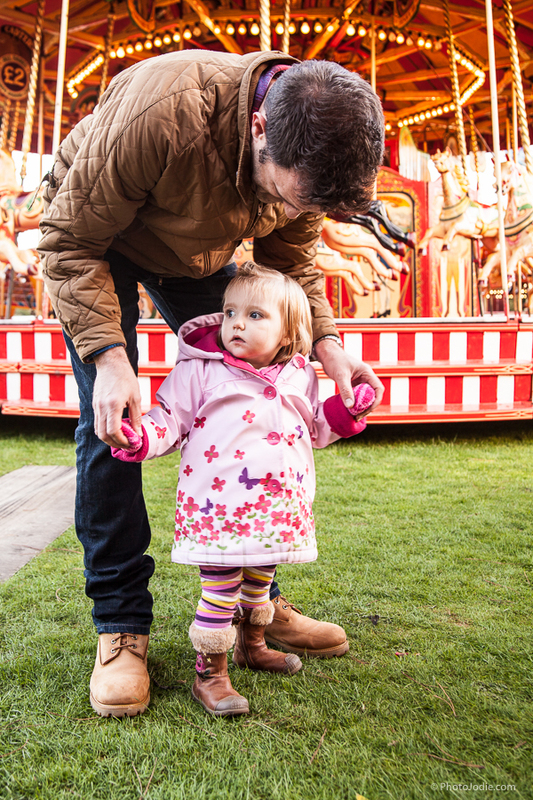 Entry to the fair is free before 5pm so it’s easy to pop down and have a wander around and still be back home in time for tea and bedtime stories. I seem to remember that it was utterly freezing on the day – the first real bitterly cold day of Winter so wrap them up warm! 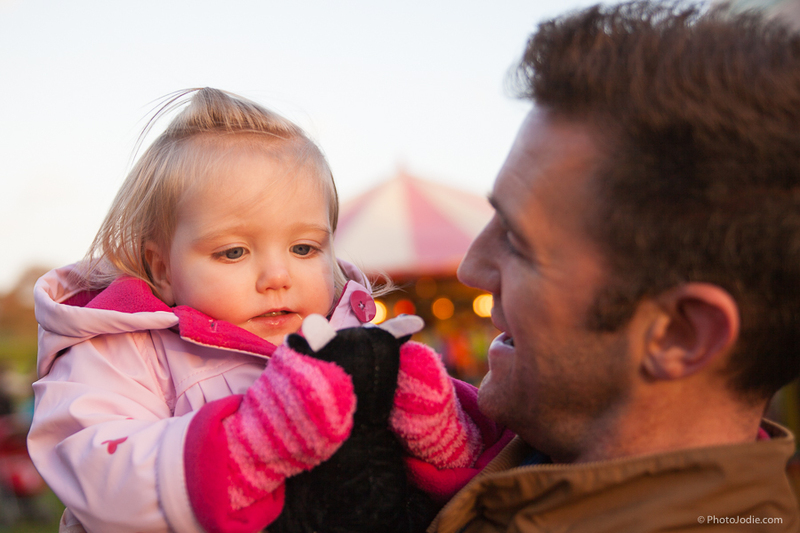 If your children are a little older then they’ll enjoy the rides and the firework display. You can get some bonus free rides by booking ride tokens online up until the night before you go. If you book 40 tokens for £20 you’ll get another 4 tokens for free. The fireworks start at 7.30pm and with expected visitor numbers of over two and a half thousand it will have a great atmosphere. Our Little Lady is just at the age when she is enjoying fireworks and has been learning the words to Katy Perry’s firework song in anticipation of Saturday night, although we’re not quite sure what the Little Man will make of it at 3 months! Looking at the Gallopers aka ‘horses’ in her world. Wonder if she will go on them this year. You can find out more about the history of each of the rides on the Carter’s website if you fancy brushing up on your knowledge before you go. 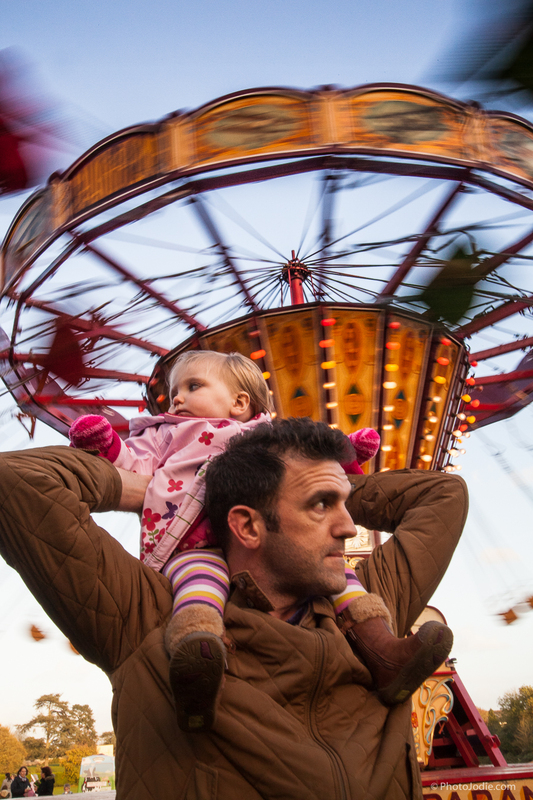 My first visit to the steam fair was partly so we could take her to her first fair… and partly because I’d just bought a new lens for my camera and wanted to play around capturing the bright colours and shapes of the fair! 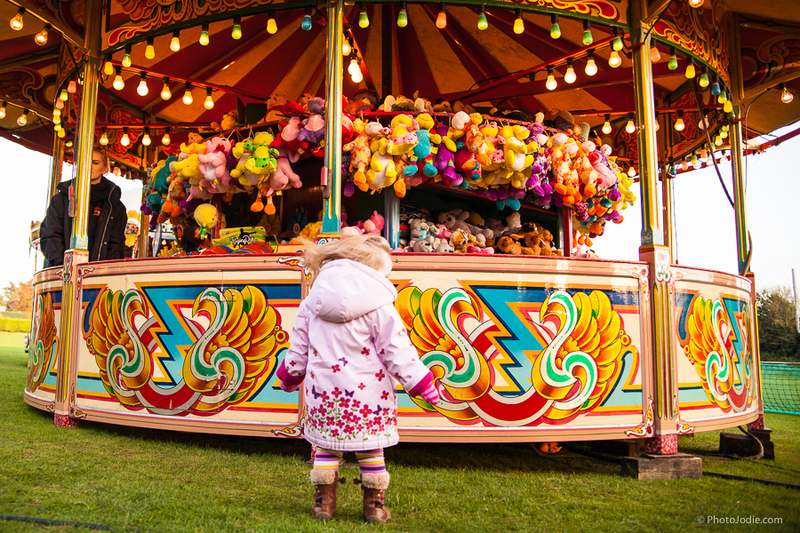 From the beautiful fairground artwork which has been handpainted by the talented Carter family, to the lights, the steam and the colours of the stalls, there’s plenty of inspiration. And that’s all before the fireworks even start! 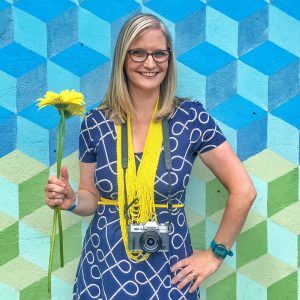 So whether you’re just an instagram dabbler or a professional photography geek like me you’ll be a happy snapper. Carter’s even have their own instagram account (click to follow) which has a beautiful gallery. 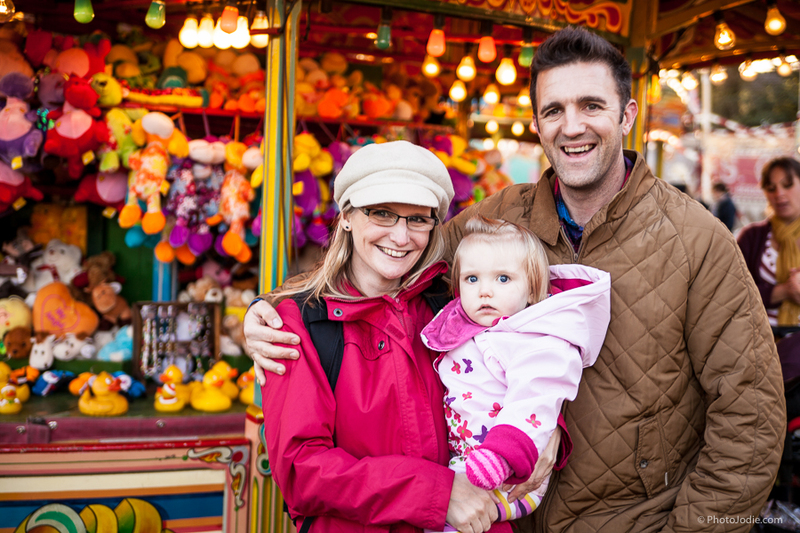 The colours of the stalls make a great backdrop for an impromptu family portrait too. I’m looking forward to taking my new little Fuji camera along on Saturday and I’ll be uploading to my instagram page. Click here to follow me on Instagram if you’d like to see the photos. 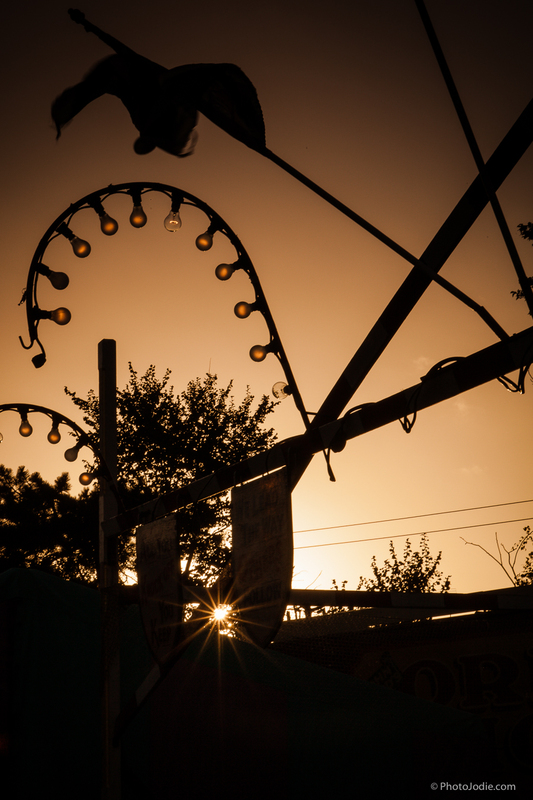 The fair opens from 2pm and entry is free before 5pm. The fireworks are organised by Boyne Hill Cricket Club and start at 7.30pm. 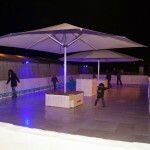 Its located on Highway Road, just off the Bath Road. The rain might have stopped in time for Saturday night but you’ll probably want to wear your wellies and pack a nice warm coat. 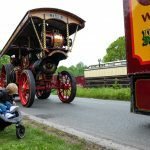 I’m not affiliated to Carter’s steam fair or Boyne Hill Cricket club – this is a completely independent post, I just wanted to share the fun of the fair with as many of you as possible! Maidenhead Moments: Carters Steam Fair ‘Road Run’ comes to town. Show why you #lovemaidenhead and win. A mini Winter adventure, just ten minutes from home.